Just as Lifestyle indicates the life choices and way of living that an individual or group adopts, so Workstyle is a term that describes the style of work people adopt for particular jobs or tasks. Understanding how your organisation and its people work – their workstyles – is key to enabling them to be at their most productive by providing appropriate space, work settings, business tools, processes, training, services and technology that support their particular needs. Whilst workstyles are individual, large organisations find it useful to group work into generic workstyle profiles. This enables standardised HR policies and business processes, accommodation solutions, ICT hardware & software, and common support mechanisms to be created which in turn lead to economies of scale, simpler and more focussed provisioning and service delivery. An analysis of work processes and organisation, capabilities, technology, connectivity, filing dependencies, work settings and storage needs will help to define a distinct workstyle. Having defined their particular workstyle profiles most organisations begin the process of analysing their staff and jobs against the specific profiles. 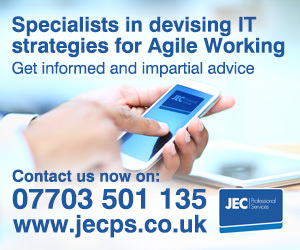 This is particularly important when anticipating the implementation of agile working initiatives, relocations or property development and rationalisation to inform the investment requirements and benefits to the business case. Many business cases for change and property relocation are based on an untested agility ratio (people to desks). Workstyle profiling if carried out early in the process will provide an agility ratio based on actual profile numbers rather than simple headcount, which will enable validation or updating of the business case assumptions before commitment and detailed plans are set. Indeed workstyling should be at the heart of any organisations office occupation projects and property strategy. The OGC publication “Working Beyond Walls” suggests workstyles reflect different aspects of office work – from the most autonomous, mobile, interactive and externally focused roles to the more administrative, system-tied, customer-focused or routine roles – and everything in between. The current trend for labelling workstyles follows the location or degree of flexibility in the place of work. So Homeworker, and Fixed Desk Worker are often at either extreme, with various degrees of work place agility in between – reflecting mobile, inter and intra office workstyles. For example Scottish Water has 4 workstyle profiles – Fixed, Fluid, Field and Free; Unilever focuses on 3 core high level workstyles – Resident, Mobile and Off-site; Aberdeenshire County Council uses Fixed, Flexible, Mobile and Home; Bristol City Council core workstyles are Anchor, Resident, Internally Mobile and Externally Mobile; AMEX have Hub, Club, Home and Roam; while Microsoft personas focus on Task Workers, Deskless Workers and Mobile Workers. Looking across public and private sector organisations somewhere between three to six workstyle profiles are usually encountered. These are often focussed purely on office work modes, but there are some organisational examples involving a wider spectrum of work. For example BT ”Work Modes” used 9 ”Work Group Descriptors” which allocated workstyles across the whole organisation including contractors – over 100,000 people. Profiling people and jobs across the building or the whole organisation into their appropriate workstyles sounds simple but there are practical issues. Who decides what workstyle is appropriate – managers, individuals, HR ? People are not keen to give up personal desk ownership, managers see desk numbers as part of their physical status in the organisation while agile workers may fit into more than one workstyle. There are also issues around suitability. How do you decide whether people have the capability for home or mobile working. Do people need specific training to be remote workers, or do managers need to learn different skills to manage a remote workforce. Certainly there must be a holistic approach to workstyling that provides not only the “tools” for the job but also ensures the necessary personal and organisational capabilities are in place to carry out new ways of working effectively and productively. Too often workstyle is associated with hot desks and space savings but the real practical application of Workstyles is much wider than this, enabling organisations to focus more closely on the way its people work and what it needs to support them. In the current climate organisations are certainly looking for workstyling to create cost saving and rationalisation opportunities, but perhaps less tangibly and yet more importantly it will also support opportunities to make work more effective and productive. PreviousPrevious post:The Case for Internal Property Charging in GovernmentNextNext post:Agility Ratio: productive benchmark or property target ?